Your skin is just as unique as you are. Some of us are born lucky, never having to deal with a skin condition. Others of us have one that comes and goes. Maybe you don’t have to deal with it all the time, and you get to keep your psoriasis shampoo or acne products on the shelf for the most part. Still others aren’t so lucky. Some skin conditions come as a package deal, and these are a different beast. One of the most common skin condition pairs that we see is acne and rosacea. One particular type of rosacea usually occurs side by side with breakouts. Plus, rosacea is not as common as acne. This means that products that help with rosacea just aren’t as prevalent. At least at first glance. But, what if we told you that you could potentially use acne products for rosacea? Kind of weird, right? Hear us out, though. Acne products that promote a healthy skin barrier can help soothe symptoms of rosacea. The easiest way to go after both acne and rosacea is to seek out acne products that show your skin barrier a little love. Read on for our discussion of rosacea, acne, and the products used to treat them. If you’re reading this, you’ve either completed or are still making your way through your teenage years. We’re guessing you already know what acne looks like, since, well, maybe you had it. And, you aren’t alone. You aren’t alone if you have rosacea, either. So, let’s talk about it! Rosacea is a skin condition that affects more than 16 million people in America. It’s characterized by flushing skin, small pus-filled bumps on the skin’s surface, and cyclical flare-ups. The exact cause of rosacea is unknown, but skin experts tend to believe it has something to do with blood vessel abnormalities. Right now, there is no cure. But, don’t worry! There are plenty of treatment options available for when a flare-up comes around. Not everyone who has acne has rosacea, and not everyone with rosacea will have acne. Plus, bear in mind that rosacea has multiple types! We recommend keeping this list on hand and monitoring your skin if you think you have it. But, never rely on a self-diagnosis. Getting a dermatologist’s opinion is always the best idea. We’ve discussed the types of rosacea before, but there’s nothing wrong with a quick refresher! You deal with facial redness, frequent flushing, and visible blood vessels, usually at the center of your face. You have swollen, sensitive skin that’s often dry and scaly. Sometimes, your skin feels like it’s burning. You suffer from breakouts that look a lot like acne. Your skin is very red, oily, and raised. You’re seeing broken blood vessels on the skin’s surface. You are an older man. You’ve noticed the skin on and around your nose is thickening. You may also have thick skin on your forehead, cheeks, and ears. You have a lot of redness around your eyes. Your eyes feel itchy, gritty, and irritated. You notice broken blood vessels on your eyelids. As you can see, there are a wide variety of possible symptoms. Everyone’s skin is different, so people may even experience each type differently. If one type in particular sounds like what you’re dealing with, let your derm know! They’ll then be able to develop a treatment plan for you to put you on the path to healing. How are Rosacea and Acne Related? Acne isn’t a side effect of all forms of rosacea. Most commonly, those with papulopustular rosacea are the ones who are most susceptible to breakouts. Certain symptoms of type 2 rosacea increase your likelihood of breaking out. Here’s why. One of the biggest telltale signs of papulopustular rosacea is oily skin. Oily skin is caused by excess sebum production. Sometimes, your skin’s sebaceous glands start feeling as though there is a lack of oil in the skin. As a result, they overproduce oil, which then sits on the skin and clogs the pores. Clogged pores usually mean breakouts, since your skin needs to breathe! Like all other types of rosacea, type 2 rosacea is characterized by red skin. While sometimes this redness can be attributed to broken blood vessels close to the skin’s surface, it can also be a sign of something more: inflammation. Inflammation is often the body’s attempt to repair itself. Since broken blood vessels are a big part of rosacea, the inflammation of the skin might be trying to fix it. When the inflammation gets out of control, it can cause acne. Severely inflamed acne is often caused by systemic inflammation, and rosacea can be classified as that. Sometimes, the bumps on your skin might not be acne. Papulopustular rosacea comes along with lesions, or raised areas of the skin. They might not be acne, but they can behave like acne. They first begin under the skin, eventually coming to a head, and they are filled with pus. In fact, these lesions look so much like acne that people even refer to type 2 rosacea as adult acne. When Can I Use Acne Products for Rosacea? We mentioned this before, but it’s worth repeating. Acne products that promote a healthy skin barrier are the ones worth using for rosacea. It’s important to remember that not all acne products are created equal. Many acne treatments on the market are too harsh for sensitive skin. Rather than balance out the skin’s oils, they dry the skin out, causing the skin to overproduce oil to make up for it. This can make your rosacea worse. Instead of opting for a treatment that’s too much for your skin, choose one that puts your skin first. Products that are pH-balanced and gentle, yet effective are the ones that are most suitable for those with rosacea. What Do I Use if I Have Acne? But, if you have acne, we recommend using acne products that won’t strip your skin of its natural barrier or dry your skin out completely. Here are some of our favorites! A gentle cleanser that also combats breakouts? Sold! Our Clear Face Cleansing Foam is a must for those with acne. Because it’s ultra-hydrating, daily use will not dry out your skin beyond recognition. The refreshing foam removes oil while eliminating bacterial causes of acne. Cleansing Foam deeply penetrates pores to remove skin impurities and leave your skin feeling smooth, clean, and rejuvenated. It’s important to give your pores one more blast of clean after cleansing. 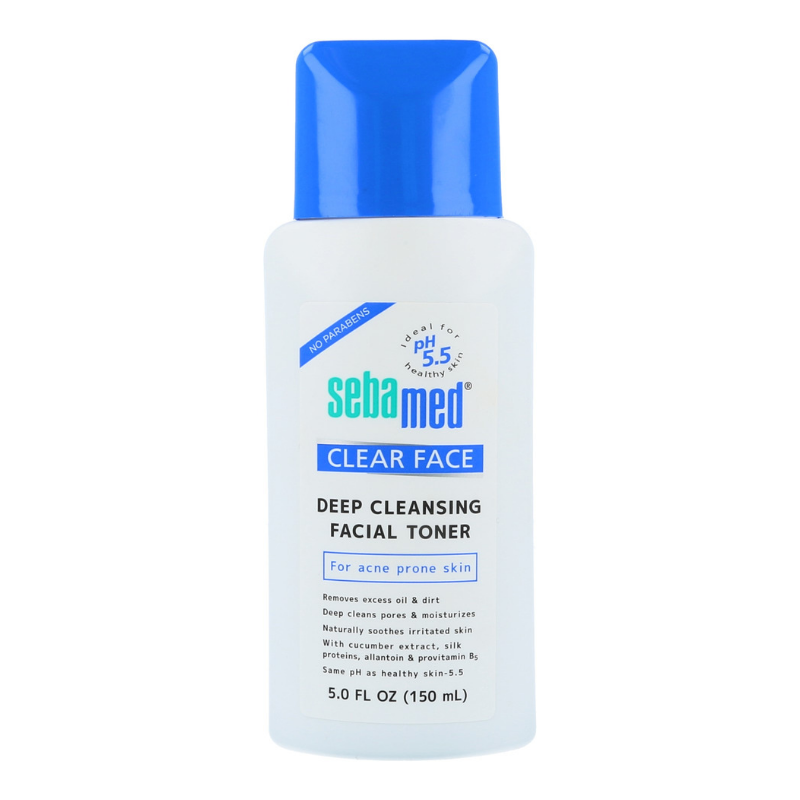 Enter our Clear Face Deep Cleansing Toner. Acne-causing bacteria don’t stand a chance against our antibacterial formula. It also helps balance out your skin’s oils, regulating oil production over time. Less oil on the skin’s surface means a lower chance of breaking out. Deep Cleansing Toner soothes skin, improving the overall function of the skin barrier. 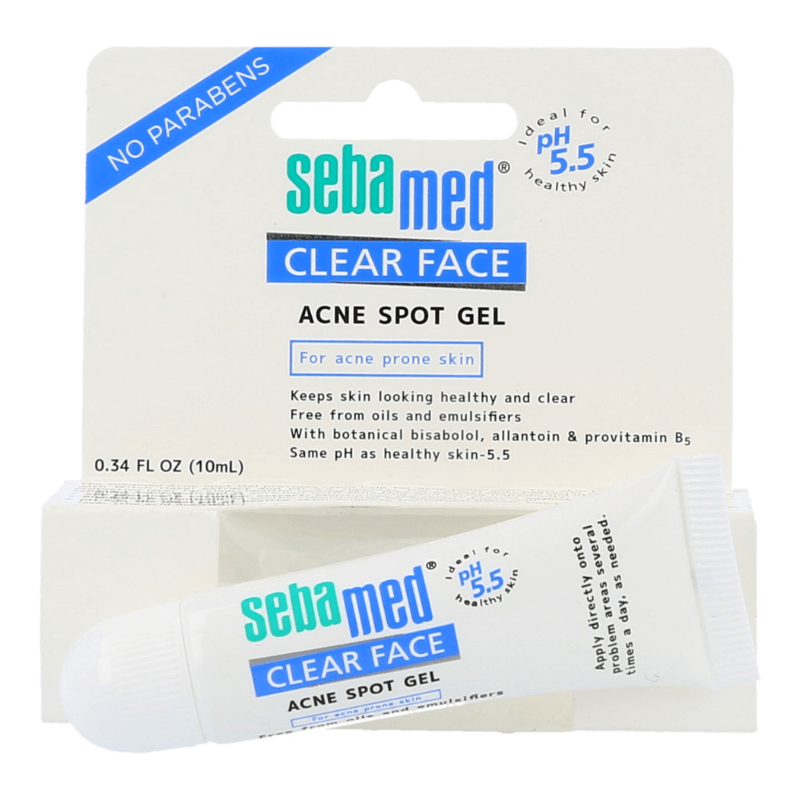 This one is a must-have if you get stubborn zits that won’t go away no matter what you do. Keep in mind that clear skin is clean skin! 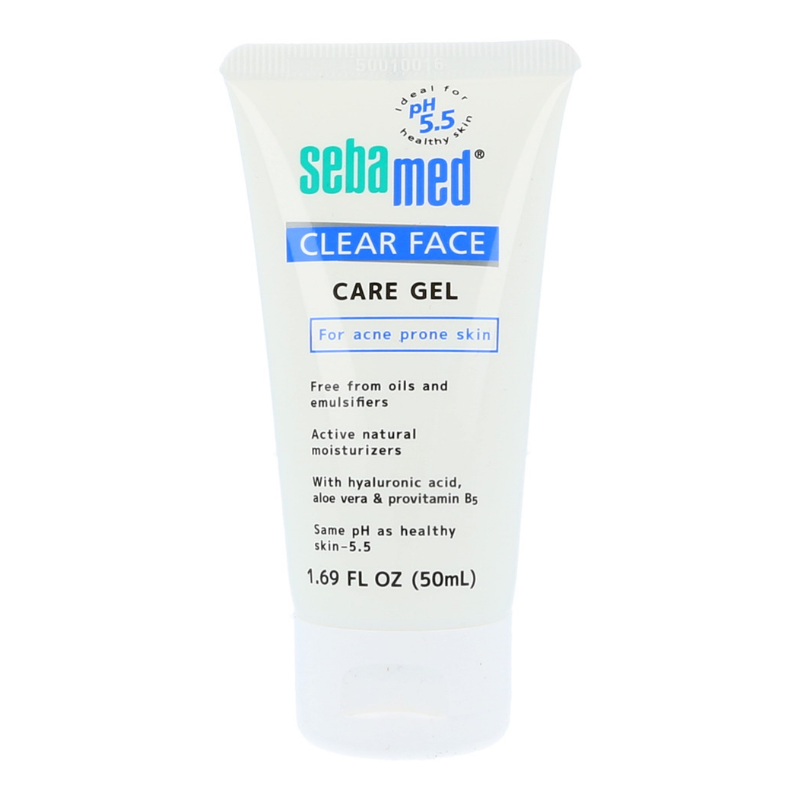 Our Clear Face Acne Spot Gel is your final line of defense against skin impurities that cause acne. It purges your pores of dirt and oil, all while fighting existing breakouts. A thin layer is all you need! It will target your problem areas and give you reliable protection against acne. What Do I Use if I Have Rosacea? Your skin care routine depends on the kind of rosacea that you have. Your derm will help you craft a routine that works for you. In the meantime, we’ve rounded up a couple classics that’ll work for you no matter which type you have. If you have rosacea, you’re probably an adult. But, that doesn’t mean that you can’t use baby products! In fact, products such as our Baby Wash Extra Soft might just be what you need. Because babies aren’t born with a skin barrier, they need gentle skin products. Baby Wash Extra Soft goes a step further, nourishing the skin barrier as it develops. So, you can imagine that it’s gentle enough for your sensitive skin. It’s also soap-free, so it won’t aggravate your rosacea. All in all, it will balance your skin’s pH level and soothe your symptoms. Depending on the kind of rosacea you have, you could have skin that’s anywhere from extremely dry to extremely oily. We suggest using a face cream that’s suitable for all skin types. Our Moisturizing Face Cream has a light, airy formula that won’t clog pores, but doesn’t skimp on hydration. It smooths your skin, helping it feel smooth all day long. Daily use keeps your skin looking healthy, radiant, and refreshed. What Do I Use if I Have Both? If you have both acne and rosacea, we recommend using a combination of both acne products and products for normal skin. The acne products fight the breakouts, while the products for normal skin help regulate the function of your skin barrier. It’s a win-win! Our classic wash is a must-have for all skin types. Liquid Face and Body Wash cleanses the skin of impurities while hydrating. It also works hard to stabilize the skin barrier, keeping the good stuff (like moisture) in, and the bad stuff (like environmental irritants) out. Liquid Face and Body Wash deep-cleans pores with each use. This leaves skin feeling cleansed and hydrated. Perfect for both rosacea and acne! Many of us with oily skin prefer something a little lighter to moisturize the face. Our Clear Face Care Gel has a light texture that soothes skin irritation all while locking in moisture and fighting breakouts. It has also been proven to help lessen the appearance of redness, provide relief from flaking, and soothe burning sensations. Rosacea, acne, both, or neither? No problem. 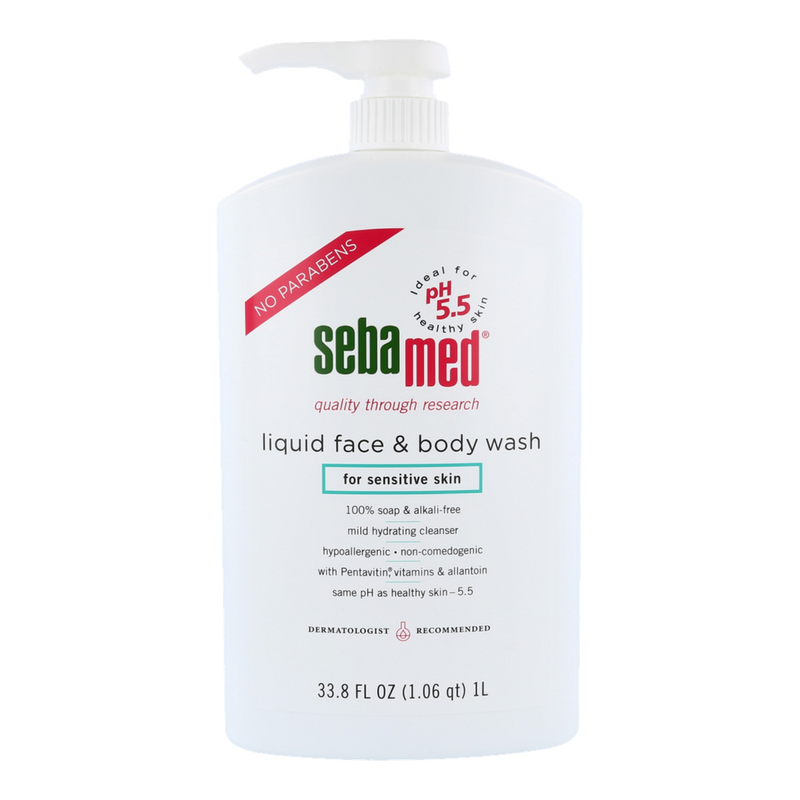 Sebamed’s wide range of cleansers, lotions, and hair care products are suitable for all skin types. Our mild, pH-balanced formulations are trusted by skin care lovers around the world. 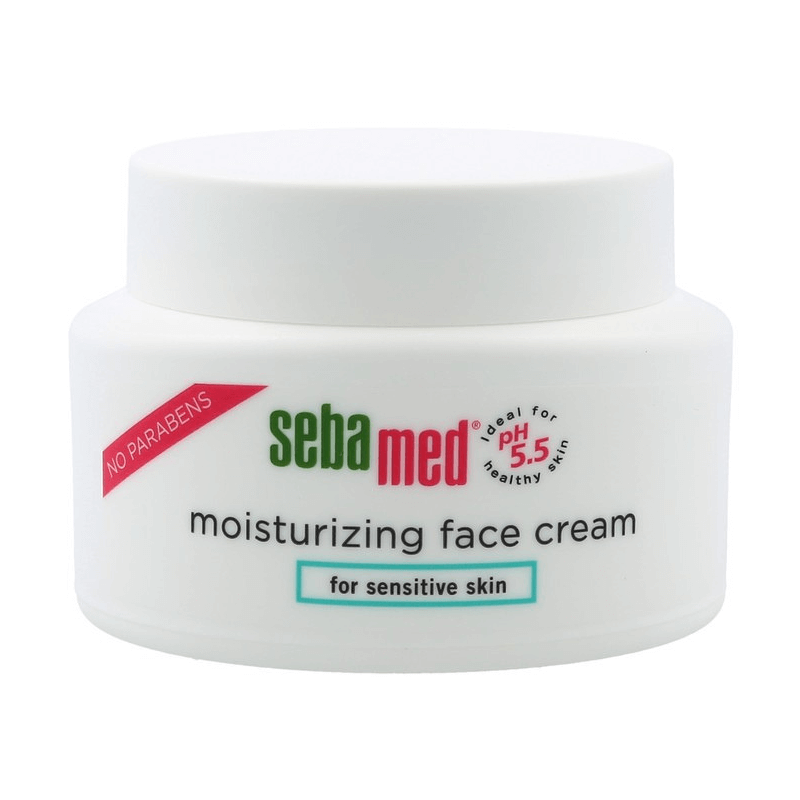 Dermatologist-tested and recommended, Sebamed is sure to have something you like! Check out our complete product lineup here.